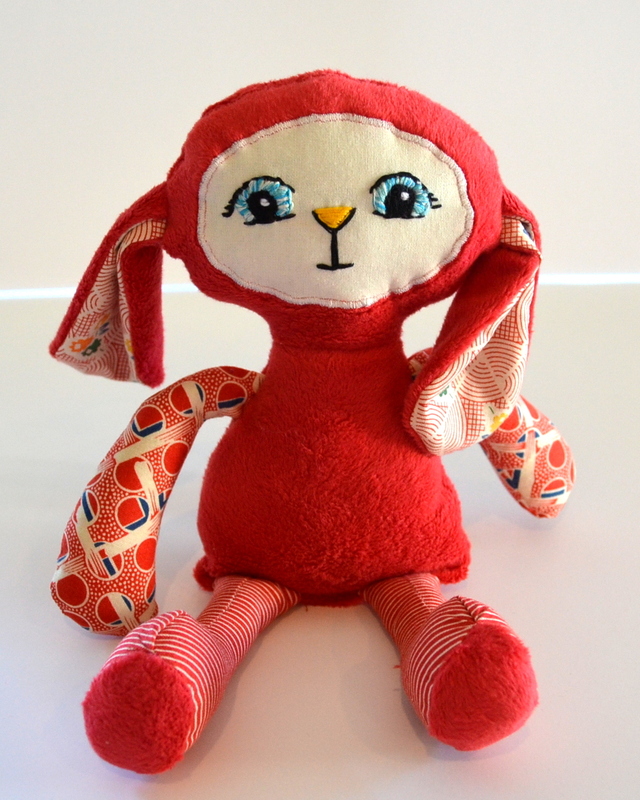 Made at the request of my sons, these bunnies are not only soft and cuddly, they are super-hero ninja fighting monsters. Subjected to beatings and masterful escapades, they’ve been known to find themselves in the most unpredictable situations. Until rescued by my three-year old daughter who carries them around everywhere and makes sure they are tucked safely beneath her covers at night. 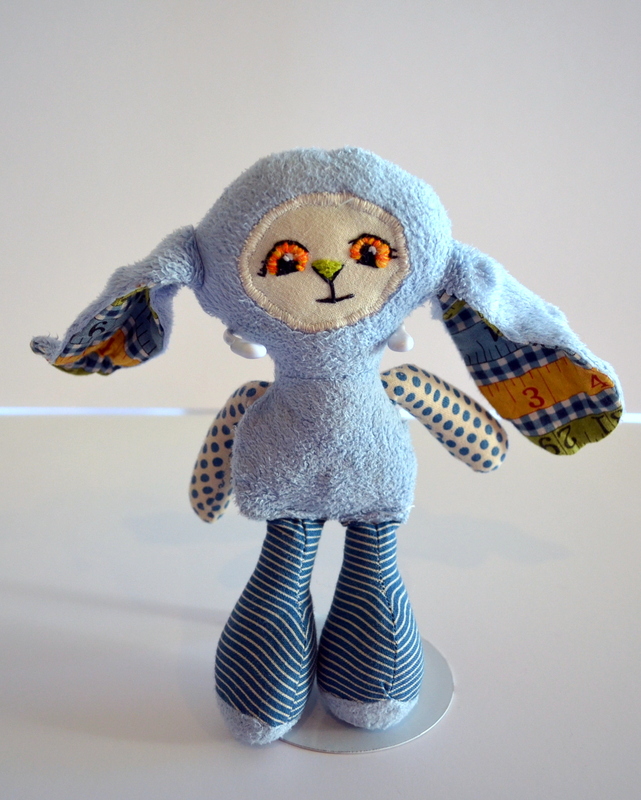 Battered and bruised, small blue bunny has conquered many battles with his burning eyes of fire. 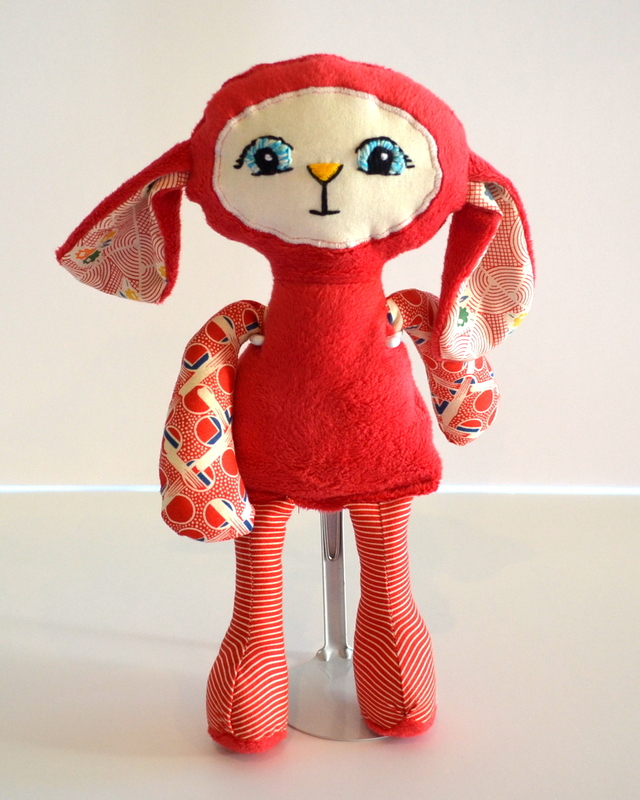 Medium red and small blue “Penelope Bloom” boutique bunny.